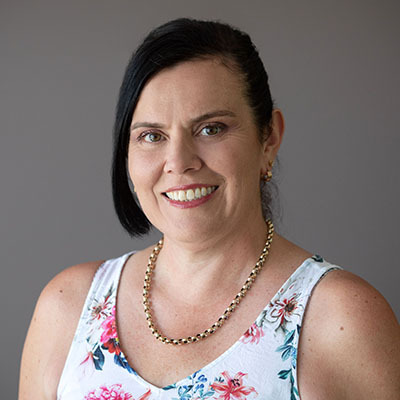 Amanda joined the Australian Federal Police (AFP) in 1990, and after graduating police college, commenced working in Eastern Region (now Sydney Office) General Crime Investigations, where she subsequently completed her Detective training. In 1998, Amanda commenced an investigator/surveillance officer role within the new Government initiative, “National Illicit Drugs Strategy” (NIDS) taskforces investigating serious and organised drug importations, including the Joint Asian Crime Group (JACG), a taskforce specially established to investigate the increased criminal activities of Asian crime syndicates. In 2002, Amanda joined the newly established AFP undercover program working on establishing governance, training, policy, administrative support and provision of backstopping services to undercover operatives and controllers. In 2003, Amanda was promoted to the rank of Detective Sergeant and team leader of the Human Source Management Team (HSMT). Whilst working within the intelligence portfolio, Amanda regularly undertook the role of Coordinator Intelligence, responsible for achieving intelligence results across a number of teams including Protection Intelligence, Target Development, Intelligence Collection and Evaluation and HSMT. After performing higher duties as the Coordinator across a number of portfolios, Amanda was promoted to Detective Superintendent in 2006 and commenced working within Border Investigations (now Crime Operations) where she and her team primarily investigated short to medium term drug importations into Australia. In 2010, Amanda transferred to the role of Coordinator, Corporate Services. In this role, Amanda assumed responsibilities in relation to HR, Finance, Learning and Development, Special Projects, Drugs and Property Registries, Operations Monitoring services, Radio and Electronic Communications, Community Liaison, Protection Liaison and other support personnel. In 2011, Amanda successfully completed the International Management of Serious Crime program in Semarang, Indonesia. In January 2013, Amanda was the successful AFP applicant to undertake a 2 year secondment as a Visiting Fellow at the AIPM, Manly. In 2015, Amanda joined the AIPM permanent staff in the role of Director, Business and Event Services and in 2017 took on the role of Deputy Director.